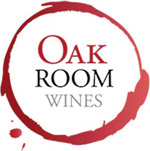 Need To Contact Oak Room Wines? Contacting Oak Room Wines is easy, you can call Chief Wine Man Jason directly on 0433~116~443 or simply pop your details into the form below and we will endeavour to reply within an hour. If your enquiry is about an online purchase, please include your order number and phone number.